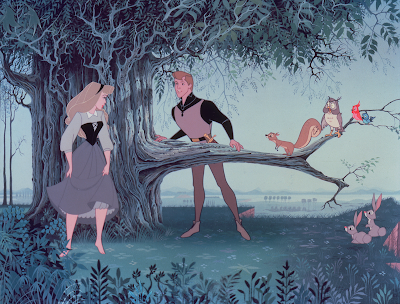 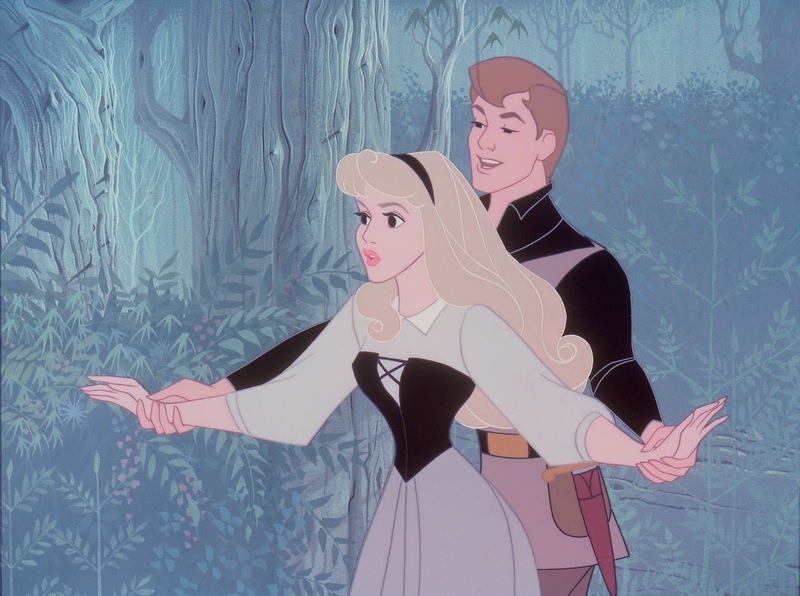 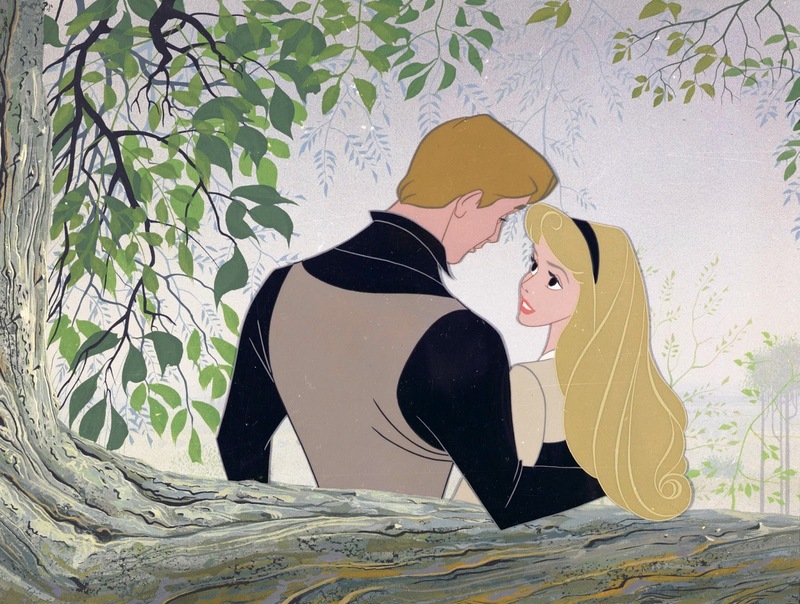 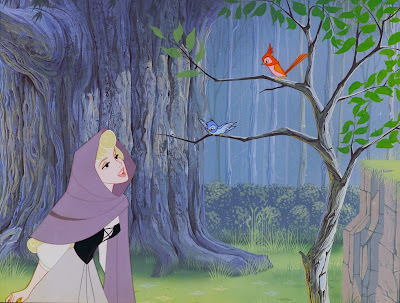 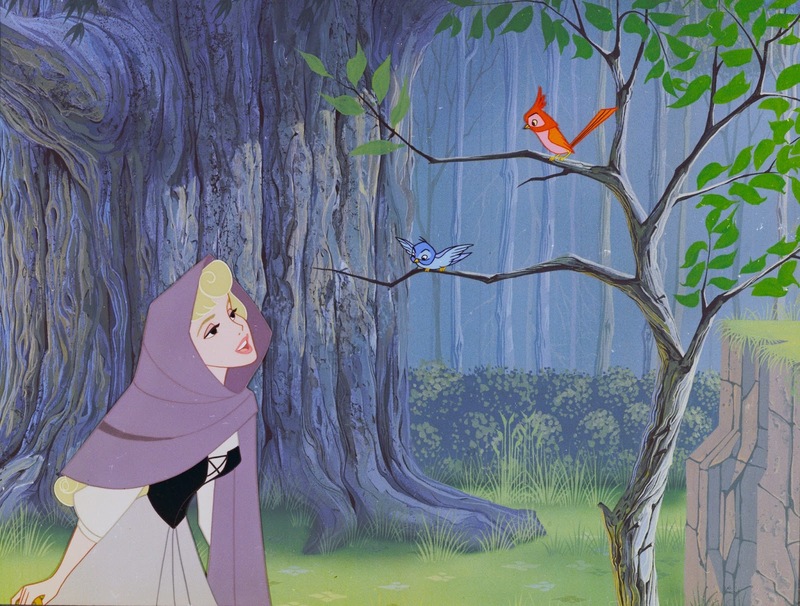 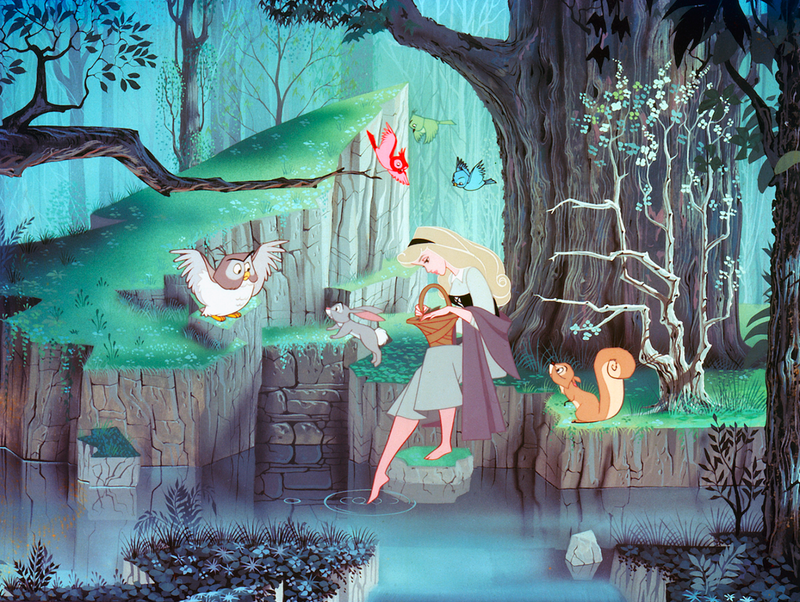 A few glorious stills (though not in widescreen) from Disney's classic Sleeping Beauty. The film was a gutsy experiment in art direction, it disappointed at the box office when first released in 1959, but is now considered to be one of the most beautiful animated films ever made. 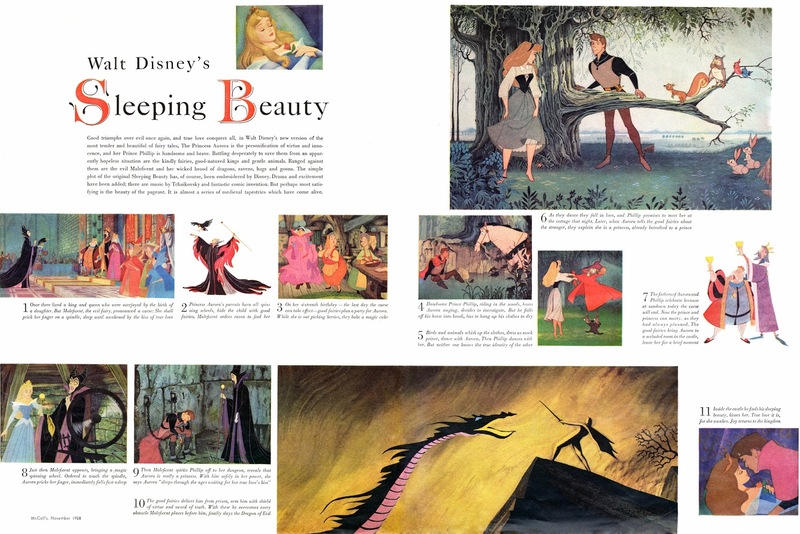 An article from McCall's magazine to promote the release of the film.